Greg Williams is one of the original particpants of the pool. He has played in every single year since day one. I went to college with Greg and can attest he is a very standup gentleman. This is the story of their son Owen. During pregnancy with their fourth boy, Greg and Deanna were referred to a high-risk OBGYN for anomalies found on several sonograms. At 34 weeks gestation, a fetal MRI was performed. The doctors couldn’t provide clarity on what was wrong. They were told that the baby was small and his bone density was low; he wasn’t moving well, his arms weren’t moving at all, he had a massively enlarged kidney, there were concerns about his heart... The doctor also gave them many pages of conditions that “could possibly” explain these issues. There was no way to confirm his condition until the birth but there were signs that Owen would have severe disabilities and it was unclear if he would survive long after birth. On November 12, 2018, Owen Bud Williams was born in Wichita, KS. Miraculously, he had a strong heartbeat and was breathing on his own!! PRAISE THE LORD! Of course, there were still many unknowns of his condition. Numerous doctors came to look him over. He was given a clinical diagnosis of Amyoplasia but this had to be confirmed by genetic testing results- which takes months. Owen had limited movement in his arms and legs, he had a dislocated hip and contractures in his elbows, wrists, knees and feet. He had a blocked kidney. 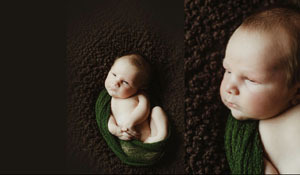 By the end of his first month, Owen had undergone his first of many castings, and many hours of physical therapy. The genetic testing results came in mid-January and confirmed the diagnosis of Amyoplasia. Amyoplasia is a diagnosis that is part of a broader condition called Arthrogryposis Multiplex Congenita (AMC). Amyoplasia is a condition of the joints, being stiff or curved. See the You Tube video below for more details on this condition. Greg and Deanna are seeking specialists in hopes that Owen’s quality of life will be significantly improved. Unfortunately, since his condition is so rare, there are not specialists close to home but instead halfway across the country. There are several specialists being considered from Pennsylvania, Florida, and Washington, among others. These appointments would require Deanna to be away from her family for weeks, maybe even months at a time. The treatment costs alone are very expensive. Then add in the cost of traveling and meals plus childcare for their other children on top of regular day to day costs— it’s becoming overwhelming. By participating in this event, you will help the Williams Family have one less thing to worry about while dealing with the mentally and emotionally exhausting struggle of trying to figure out the best path for Owen. A CaringBridge Site was created for Owen. It‘s a caring social network to help people stay connected with family and friends during a health event. 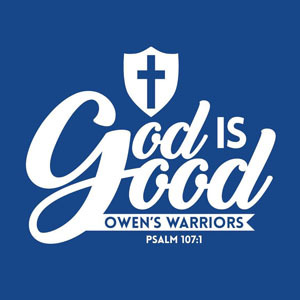 Visit Owen‘s site often to stay updated and share messages of encouragement and compassion. The Galesburg Relief Fund is a non-profit dedicated to assisting people who have encountered a sudden crisis in their lives. This includes anyone of any age such as an infant with a rare heart defect, a person stricken with a sudden illness or a family that has lost their home to fire or natural disaster. Since our establishment in 2007, we’ve given away nearly $150,000 to people in need. Funds are generated through various events held throughout the year including our annual golf tournament and pork spare rib sale. This would not be possible without people coming together for the cause of helping others. Through the years they have helped many past participants of the ebTalk Benefit Pool who have been stricken with such tragedies as cancer, illnesses, injury and some who have passed away. They most recently also donated money to assist with Owen's Warriors. For more on the Galesburg Relief Fund, go here. 25% of all proceeds will go to benefit both groups.